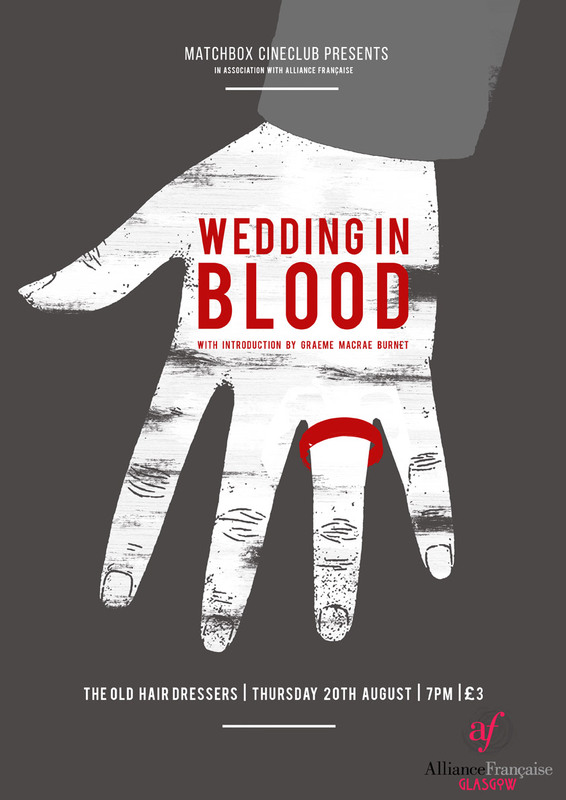 Matchbox Cineclub’s August screening, presented in association with Alliance Française de Glasgow, will be Claude Chabrol’s Wedding In Blood (Les Noces Rouges, 1973). It’s a rare chance to see Claude Chabrol’s classic portrait of an amour fou with deadly consequences in provincial France, starring Stéphane Audran and Michel Piccoli. The screening will be introduced by Graeme Macrae Burnet, author of The Disappearance of Adèle Bedeau, a literary thriller set in the small town of Saint-Louis in the Alsace. The screening takes place at 7pm on Thurday 20th August, in the gallery area of The Old Hairdressers, Glasgow. Admission is £3 via Eventbrite. This month’s screening is by arrangement with Artedis. Michel Piccoli and Stéphane Audran in Les Noces Rouges. This is the eighth screening in Matchbox Cineclub’s monthly series at The Old Hairdressers, which takes place on the third Thursday of every month. Previous screenings there have been The Beaver Trilogy (dir. Trent Harris, 2001; 1979-85), Stunt Rock (dir. Brian Trenchard-Smith, 1980) in association with Glasgow Film Festival, Who Are You, Polly Maggoo? (William Klein, 1966), Cecil B Demented (John Waters, 2000), Dünyayı Kurtaran Adam (Çetin Inanç, 1982), Me And You And Everyone We Know (Miranda July, 2005) and The Adventures of Buckaroo Banzai Across the 8th Dimension (WD Richter, 1984). 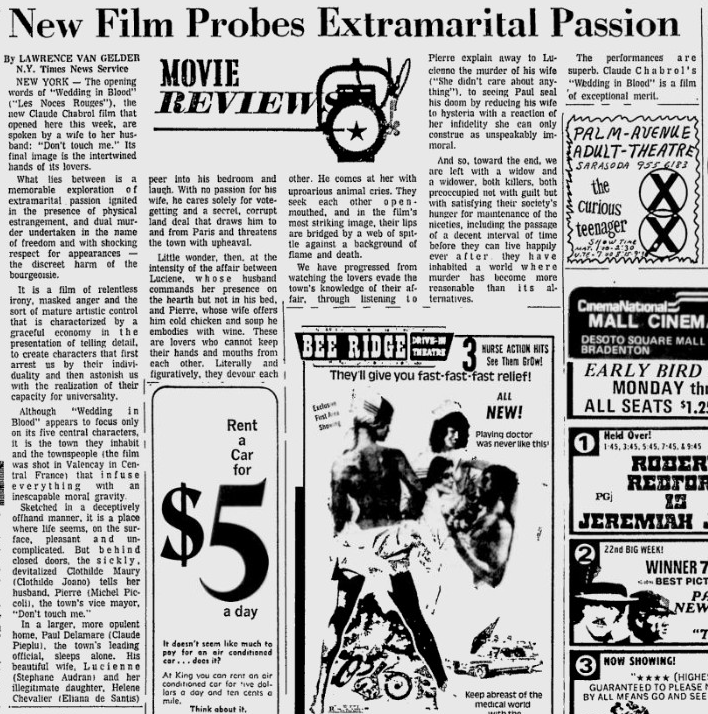 This entry was posted in Glasgow, Matchbox Cineclub, Preview and tagged 1973, Claude Chabrol, Glasgow, Graeme Macrae Burnet, Les Noces Rouges, Matchbox Cineclub, Wedding In Blood. Bookmark the permalink.